This study characterizes the elemental composition of street dust and soils in Avilés (N. Spain), a medium-size city of approximately eighty thousand inhabitants, where industrial activities and traffic strongly affect heavy metal distribution. A total of 112 samples of street dust were collected within a 7-km2 area, encompassing residential and industrial sites (ferrous and non-ferrous plants). 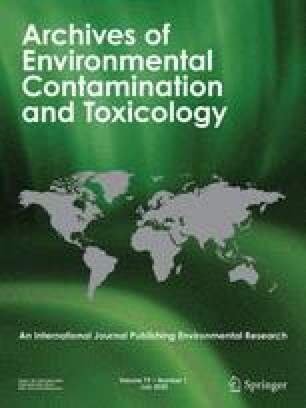 Elevated geometric mean concentrations of zinc (4,892 μg · g−1), cadmium (22.3 μg · g−1), and mercury (2.56 μg · g−1) in street dust were found in samples located near industrial areas. Two types of anthropic influence were distinguishable: the first and most important one is that related to metallurgical activity and transportation of raw materials for local industries. Secondly, exhaust emissions from traffic are an important source of lead concentration in areas with high vehicular density (geometric mean: 514 μg · g−1). The zinc content in the dust samples decreased with the distance from a zinc smelter located in the northern part of the city. The same trend was found for other elements in association with zinc in the raw materials used by the smelter, such as cadmium and mercury. A simultaneous research campaign of urban soils, that involved the collection of 40 samples from a 10-km2 area, revealed geometric mean concentrations of 376 μg · g−1 Zn, 2.16 μg · g−1 Cd, 0.57 μg · g−1 Hg, and 149 μg · g−1 Pb, and distribution patterns almost identical to those found for street dust.